KYIV. Sept 28 (Interfax-Ukraine) – The Ukroboronprom State Concern and Poland’s Lubawa S.A. are preparing to launch joint production of bulletproof vests and helmets and facilities in Ivano-Frankivsk in 2016. 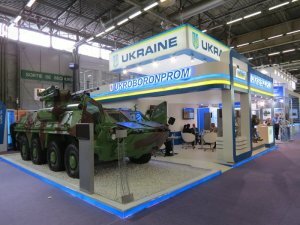 According to the plan which was announced by the Polish company during a conference devoted to the expansion of defense cooperation at the 12th International Trade Fair Arms and Security 2015 held in Kyiv on September 22 through September 25, bulletproof vests, helmets, and camouflage products will be produced. The Polish company said that the preliminary volume of investment is estimated at EUR 1 million. Lubawa S.A. has been operating on the market for over 60 years. The company supplies multi-purpose products designed for camouflage to NATO countries. It exports its products to over 40 countries. In September, at the MSPO-2015 exhibition held in Poland, Ukraine and Poland signed a memorandum of cooperation. Amway Ukraine and the Ukrainian League of Industrialists and Entrepreneurs (ULIE) have initiated this competition for the fourth year in a row. The project “Business Talant of Ukraine 2015” is aimed at providing education and financial support for businesswomen. This year, the main prize is UAH 70,000* for business development. Another special prize is provided by the competition’s partner – the Nova Poshta Company – a UAH 10,000 certificate for parcel delivery within Ukraine. The subject of the competition is entitled “Inspired by Time.” The competitors are to focus on the professional features of a successful entrepreneur as well as their ability to adjust to the dynamics and conditions of time. Those who are successful are those who don’t wait for ‘perfect conditions’ and face the challenges of time as new opportunities. Businesswomen from all over Ukraine are welcome to take part in the competition free of charge. This year, in addition to an educational conference in November, the competitors will have an opportunity to visit two regional business events with the participation of well-known businessmen in Odesa on September 25 and in Lviv on October 2. This is the first time these events have been held as part of the competition. Every young family deserves to have their own dwelling, Budcapitals Ltd. Director General and Board Chairman of the Dostupne Zhytlo (Affordable Housing) Non-Governmental Organization Yevhen Pinchuk said. The Ukrainian League of Industrialists and Entrepreneurs (ULIE) recently gave him an award to mark Entrepreneur Day in Ukraine. Budcapitals Ltd. has built a block of flats for servicemen and their families in Mykhailivka-Rubezhivka Village near Kyiv – 96 apartments are ready and waiting for their owners. “We are ready to continue our cooperation with the Defense Ministry of Ukraine, whose tender we were lucky to have won, and we are proud of our contribution to the social protection of servicemen’s families. We hope that these dwellings will become a cozy and comfortable home for people who devoted their lives to the defense of the integrity and independence of Ukraine,” Pinchuk said. 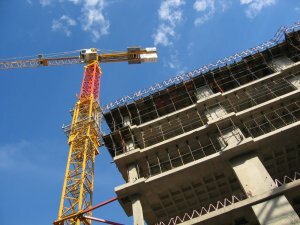 The construction of the Mykhailivsky residential estate will be the next step to supporting social and mortgage housing. Unfortunately, the construction of housing in Ukraine that young people could afford is a serious problem. The priority task of Budcapitals Ltd. and the Dostupne Zhytlo organization is to make housing cheaper without losing in quality. For this reason, new housing is to be constructed outside the capital city, but no further than 15 km from its outskirts. It is planned that not only apartments, but separate small residential estates with necessary infrastructure, including shops, bank departments, kindergartens, etc., will be built here. “Entrepreneurs’ initiative to make housing for young people cheaper requires overall support and promotion. The ULIE is happy that active young entrepreneurs and public activists – Yevhen Pinchuk is also a leader of the Kyiv Municipal Association of Industries, Construction, Transport and Communications – are taking care of this project. For the implementation of this project, we should attract financial institutions which could lend money to young people as well as gain support of government agencies. In general, we can make sure once again that domestic businesses are socially aware and responsible,” ULIE First Vice-President Serhiy Prokhorov said. ODESA. Sept 25 (Interfax-Ukraine) – Enterprises involved in drugs production and distribution plan to push for extended rights in self-government in the sector. Members of the 6th congress of the United Association of Medical and Microbiological Industry Employers approved the resolution in Odesa on Thursday. According to the resolution, a copy of which has been sent to Interfax-Ukraine, the association members will support the adoption of the law on pharmaceutical self-government, which envisages the creation of the so-called Chamber of Pharmaceutics. This would be a professional association which would regulate the market and operation of all its players by members of professional society. The resolution of the congress says that its participants plan to support the endorsement of the law on drugs which is being drawn up by MPs Oleh Musiy and Andriy Shypko. Pharmaceutical manufacturers and distributors also decided to take further measures to deregulate the drug market jointly with Health Ministry, however congress members expressed their confusion as to why the Health Ministry did not sent its representatives to the congress to discuss the issue. KYIV. Sept 25 (Interfax-Ukraine) – The surplus of Ukraine’ foreign trade in agriculture in January-July 2015 totaled $5.6 billion, the press service of the Agricultural Policy and Food Ministry of Ukraine has reported, referring to Minister Oleksiy Pavlenko. 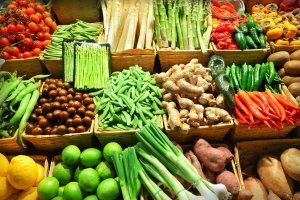 The minister said that exports of agricultural products totaled $7.7 billion or 35.7% of Ukraine’s total exports, while imports came to $2.2 billion, or 10.5% of the country’s total imports. The minister said that the surplus grew by almost 5%. “This is evidence of the upward pace of development of agricultural sector in crisis conditions for the whole economy. The important factors of the surplus in trade in agriculture are exports of grain (39.9%), oil (23.7%) and oilseeds (7.5%),” Pavlenko said. He also said that sugar exports grew by almost 100 times compared to 2014, from $361,000 to $37.7 million. “Exports of poultry and pork fat considerably grew – from $27,000 to $3.8 million. Exports of soybeans rose by 72.2% and pork – by over five times,” the minister added. Exports of sunflower oil fell by 22.1%, corn – by 7.5%, cheese – by 88.3% or $97 million, bread and confectionary products by 49.7% or $69.9 million, fruit juices – by 47.5%, and barley by 13.2%. In general, exports of livestock products fell by 24.3%, to $525.6 million. Exports of crops fell by 16.1%, to $7.22 billion. In January-July 2015, agricultural products worth $3.6 billion (46.6%) were exported to Asian countries, $1.96 billion (25.3%) to EU countries, $1.08 billion (14%) to African countries, $860 million to the CIS (11.1%), $27 million to the U.S. (0.3%) and $200 million to other countries (2.7%). “Compared to Russia, Ukraine really sees imports replacement. In January-July 2015, imports fell by 45.5%, to $2.16 billion. Fruit, nuts and citron have the largest share of imports in agriculture (11.9%), the share of tobacco is 10.6%, the share of fish, shell fish is 6.6%, cereals – 6.4%, coffee, tea and kitchen herbs 5.1%, chocolate and cacao 4.5%, butter 3.2%, meat and byproducts 2.4%,” Pavlenko said. The minister said that even with unfavorable global prices, Ukrainian farmers have gradually expanded sales markets to compensate for the loss of the Russian market. KYIV. 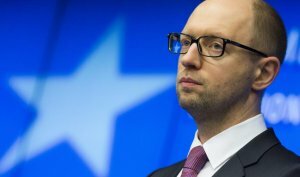 Sept 25 (Interfax-Ukraine) – Ukrainian Prime Minister Arseniy Yatseniuk has discussed the privatization of state-run enterprises with representatives of international financial institutions and diplomatic missions in Ukraine. “Special attention was paid to the privatization of state-run enterprises in Ukraine, the provision of its openness, transparency and competitiveness. The Ukrainian prime minister asked representatives of international society in Ukraine to support the privatization process with the relevant expert evaluation,” the press service of the Ukrainian government has reported. Yatseniuk met Head of the EU Delegation to Ukraine Jan Tombinski, Chief of International Monetary Fund (IMF) Mission to Ukraine Nikolay Gueorguiev, IMF Resident Representative in Ukraine Jerome Vacher, European Bank for Reconstruction and Development (EBRD) Director for Ukraine Sevki Acuner, International Finance Corporation (IFC) Country Head in Ukraine and Belarus Rufat Alimardanov, top managers of the U.S. Agency for International Development and representatives of the U.S. Embassy to Ukraine in Kyiv on Thursday. The participants of the meeting exchanged opinions on the urgent tasks of privatization, top-priority measures to improve the management of state-owned facilities, the creation of legal preconditions to accelerate the privatization process, and how to ensure that privatized enterprises function efficiently.